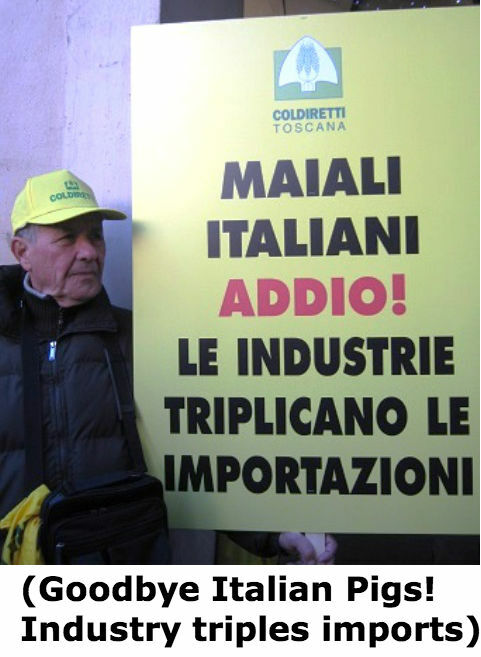 Made in Italy – Coldiretti – Who Are We kidding? I want to send Roberto Moncalvo my most sincere best wishes for his new job. On November 15, he was elected President of the Italian Farmers’ Association, Coldiretti. While it’s going to be a very difficult job, he is young (38 years old) and full of energy and good ideas. And he didn’t waste a second. (Premise) Everybody knows that agriculture in Italy is having big problems. What problems? Some foods which are labeled Made in Italy are not made in Italy or they are, but with ingredients imported from abroad. 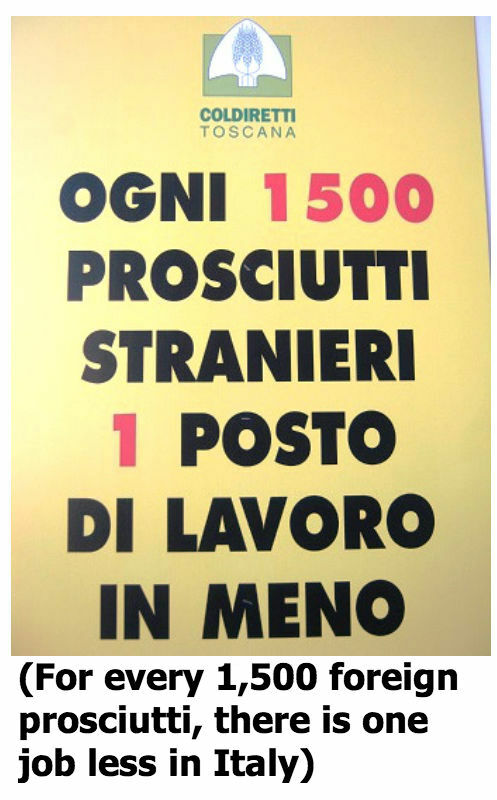 The crisis started to be really serious in 2007 when the farmers organized a big protest march in Bologna. Even the NYTimes reported on the event. What did they want? 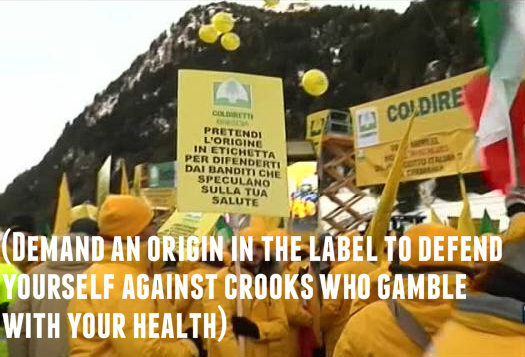 The farmers wanted the Italian Government to protect “Made in Italy” with laws that require an indication of where the ingredients come from and where the products are made. How complicated could this be? Very very complicated. In fact, we are in 2013 and the situation is much much worse than 6 years ago. So here comes Roberto Moncalvo, and what does he do a few days after his appointment as President of Coldiretti? He organizes another big protest, but this time at the Italian border with Austria (il valico del Brennero) with thousands of farmers who stopped (peacefully) inbound trucks carrying food. Everybody knows that this food will be processed in Italy and will become “Made in Italy”. Or, it will be sold or exported as “Made in Italy”. The farmers discovered: spaghetti coming from Czechoslovakia, but made in China (it’s called “triangolazione” and apparently is a very well oiled practice); mozzarella made in Germany and destined to Sicily; milk from Poland and destined to dairy farms in Lombardy; prosciutto coming from who knows where and destined to Modena. Practically your worst nightmare. Did the farmers find tomatoes and olive oil? I do not know. But, those are the biggest food scandals and do not worry, plenty of those arrive in Italy, but not from Brennero, they come by boat. The protest was successful, even the Minister of Agriculture participated, although the industrial lobbies did not appreciate it. The problem is huge. Why nobody talks about it in America? NYTimes, are you listening? Previous Post Piennolo Tomatoes – Best Tomatoes you can GET!!! Next Post We’re Gustiamo. So Nice to Meet You!